Homemade nut butter is one of those secretly awesome and easy things to make yourself, but few people realize it! If you are a parent with kiddos, peanut butter and jelly sandwiches are a standard fare in your house. If your child has peanut allergies, you may have ventured into the realm of almond butter (which is actually my favorite nut butter), cashew butter or pistachio butter. One of the biggest qualms with store-bought peanut butter is the add-ins: preservatives, oil (often hydrogenated), sugar and salt. 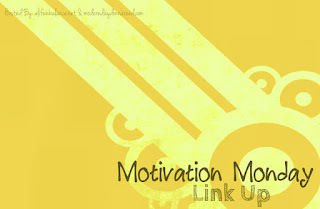 Since it's Motivation Monday, I found it fitting to share this How-To. I've been motivated more recently to MAKE more things rather than BUY them: cleaners, crafts and food. I've dedicated an entire board on Pinterest to BAKE it don't BUY it. Why buy frozen pizza when you can make a fresh pizza at home, with ingredients you can control? Get rid of the MSG-laden Ranch Dressing mix and make your own Homemade Ranch Mix! Even Cheez-It's and York Peppermint Patties can be created at home, often slightly more healthy and at a more economic cost. YOU can make nut butter. YOU can control what goes in. And ZOMG. It is so. dang. tasty. It's literally as simple as throwing nuts in a food processor. It is best to use roasted nuts, which gives a better depth of flavor than raw. And I opt for unsalted, so I can control the amount of sodium in the butter. You can add salt later - but I have never had to add The key, though, is processing the nuts LONG enough. THhis is where many who may have attempted feel that they "failed" - because the texture was still too tough, course or pasty. But if you process is LONG enough, if you have patience, the nuts magically break down and release their natural oils (forget that hydrogenated crap!). I've put the instructions into recipe format, as several people have asked for the "recipe." But like I said - it's just your nut of choice (get your mind out of the gutter) all processed up. To better explain, I whipped up a quick video to actually SHOW you how to do it. It's not the best video I've ever done, but it gives you a visual. 1 lb of ROASTED, UNSALTED nuts (peanuts, almonds, cashews, pistachios - your choice). Place nuts into your food processor. Begin to process on your low or medium setting. The nuts will break down in stages (see the video below). First, the nuts will become chopped. Then finely chopped. Then into the equivalent of almond flour. During this time, you will notice the mixture will take on a sheen, as though it is wet. Once it is wet, it will start to glob together, often creating a ball that circles the food processor. KEEP GOING. The ball will break down, again in stages. The ball will first break down and start to splay against the walls of your machine. Many stop here, but the oils are not fully released yet. Wait until all "globs" have broken down, and the mixture is easily thrown to the sides of the food processor. Once it gets to this point, I will process another 1-2 minutes, until it is viscous. When you stop the processor, lift up the container. If you tilt it side-to-side, the nut butter should flow like a thick liquid from one side to another. This is when you know it is ready! 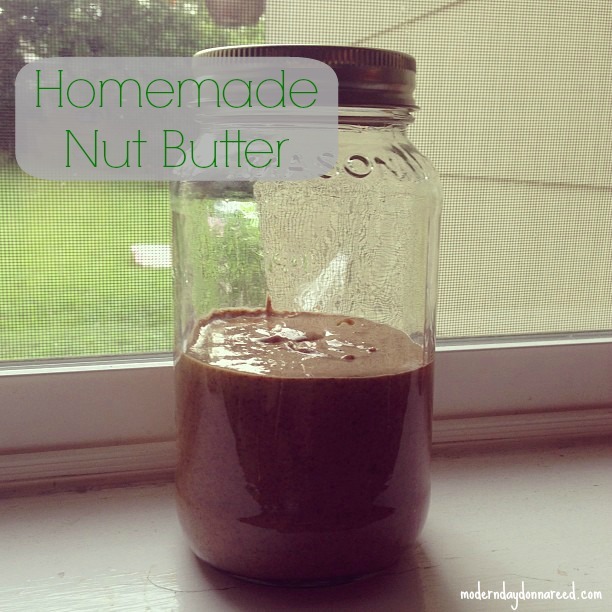 I'd love to hear if you try making your own nut butter and how it turns out for you! And if you have any comments, don't hesitate to leave a message. I will answer it as best as I can.